The famous artist renowned for his painting “Water Lilies” was a connoisseur of flowers. Flowers signify beauty and all that is good about life. A blooming flower means hope and new beginnings. Flowers inspire you and soothe you. Rose is one of the most popular and loved flowers of all time. Roses, with their unique combination of thorny stems and fragrant blossoms, are often prized as a symbol of achievement, completion and perfection. Rose is a perennial plant that has over 100 species. Some of them have closely packed petals, while some have loose leaves. A traditional rose is usually dark red in color with a long stem with thorns. 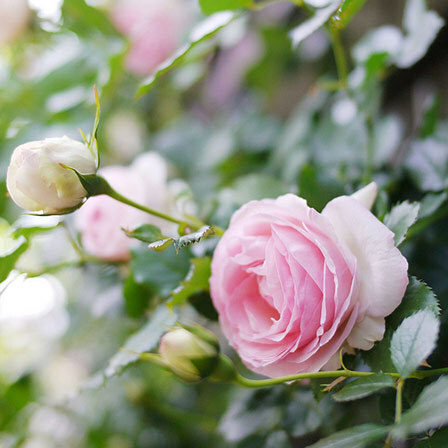 They bloom in a number of varieties, from climbing roses to tiny miniature version of roses. Roses blossom in various colors like red, orange, white, yellow, purple and even green but it is the pink rose which looks the most appealing of all the roses. Pink roses are predominantly seen in bridal arrangement and bouquets. They are generally gifted to those whom you want to profess admiration, happiness and gratitude. There are many different variations of pink roses; from a subtle hint of light pink to deep, bright and vibrant pink, each has its own meaning and symbolism. Light to medium pink roses symbolize appreciation, sympathy and modesty, whereas dark pinks are perfect gifts to convey to people how grateful you are to have them in your life. 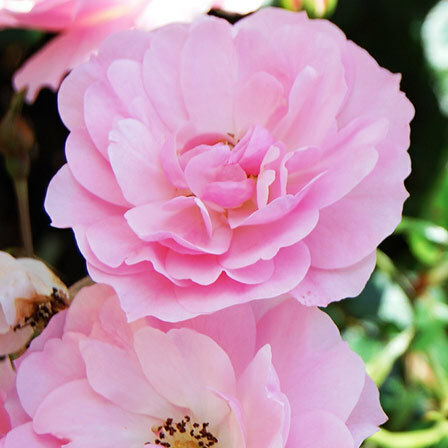 The Pink Knockout Rose is a cross between Rosa ‘Carefree Beauty’ and Rosa ‘Razzle Dazzle’. It blooms in 3 colors – pink, yellow and red. The pink variety comes in both single and double blossoms. 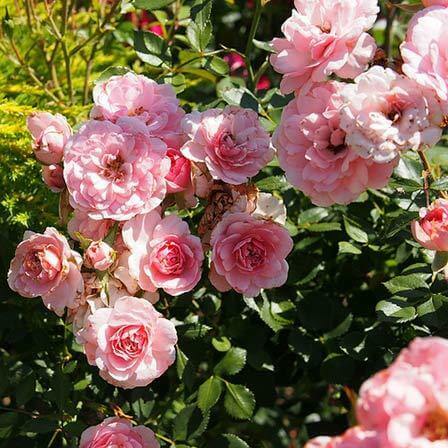 Pink knockout roses blossom throughout the year and are the roses with a disease resistant capability. 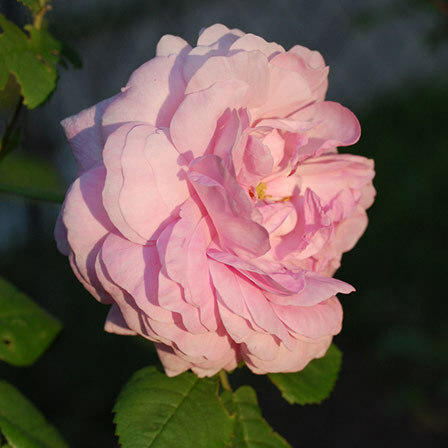 The Zephirine Drouhin rose is an old Bourbon rose from 1868 and is one of the best climbers in the world. These are thornless variety of roses and have an extraordinary flexible cane. The flower blooms are in a cerise pink colour with a white base or in a vibrant pink colour. It has an old rose fragrance which is very pleasing. The flower blooms all year long. This is a unique rose pink colour that makes it looks more like a morning glory flower. 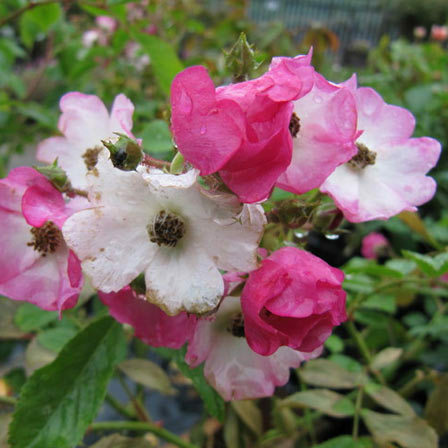 The ballerina rose is a modern shrub rose with pink flowers that look like apple blooms. 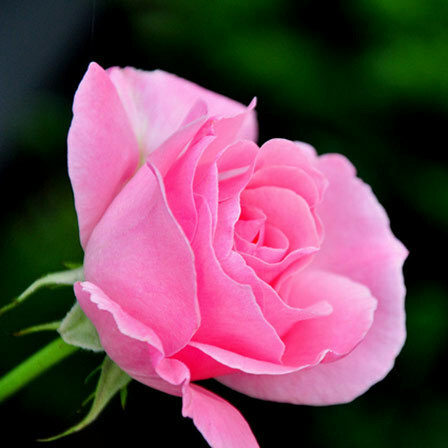 This is a very popular pink rose because it looks different from other roses. The shrub holds more than 100 tiny pink rose flowers. It has a musky rose fragrance which smells amazing. 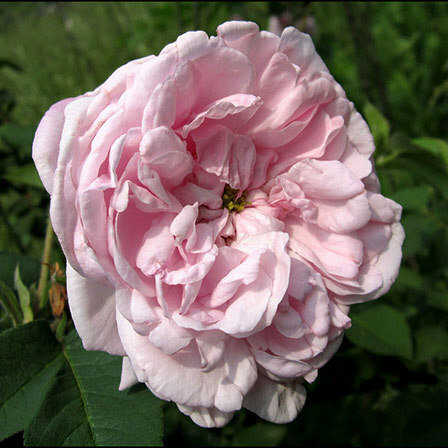 The Cecile burner is a long lived polyantha rose variety and is classified as garden rose or even a China rose. 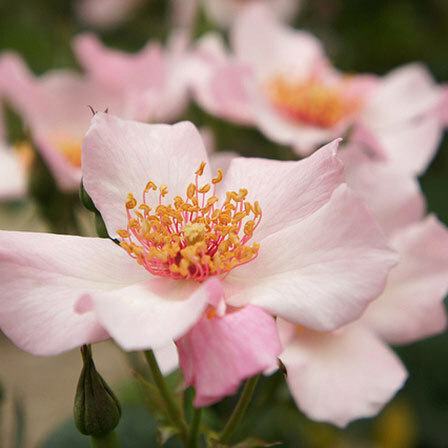 Cecile burner is a thornless climbing rose and is a vigorous climber which can climb to terrific heights if you let it. The flower produces large clusters of perfectly shaped pink blooms. It has a sweet and spicy fragrance which is unique in its own sense. It has nice healthy foliage of green colour. The Bonica Rose Bush has been voted as the World’s Favorite Rose by World Federation of Rose Societies. 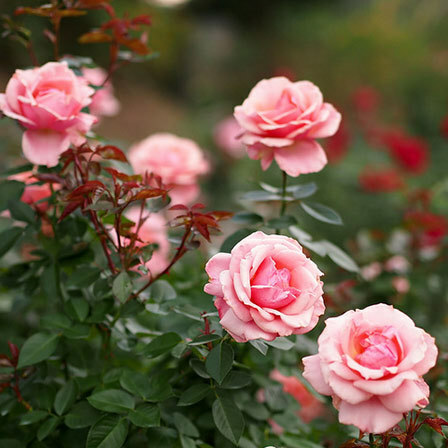 It is a compact rose which is more suited for small gardens. The plants produce dainty pink blooms and come with an attractive green shade – with small leaves foliage. 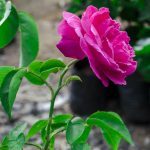 The flower is very easy to grow and requires minimum effort and care unlike other roses. 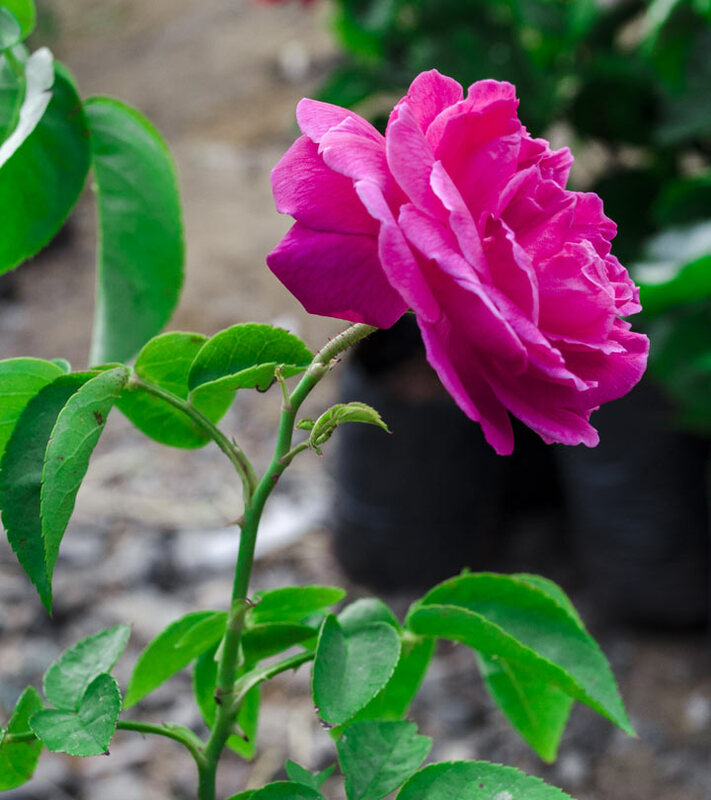 The American Beauty Rose is very popular for gardens and is renowned for its success in the cut flower industry. The flower has a strong rosy fragrance and is often used in the perfume industry for its fragrance. The flowers bloom in late summer and fall. This beautiful flower can grow well in containers and large pots also. The Old blush climber China rose is a form of Blush China Rose that has been grown predominantly in China and other parts of Asia for more than 1000 years. 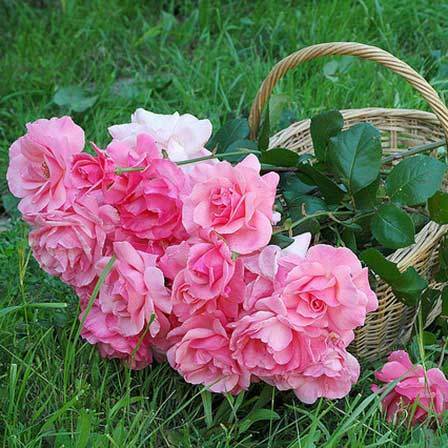 It is an antique rose which is known as the best among all the climbing roses. The blooms are larger than other varieties of Blush roses and are highly valued for their perpetual blooming. The flower comes in a silver pink shade with mauve shades. The flower smells delicious, just like sweet peas. 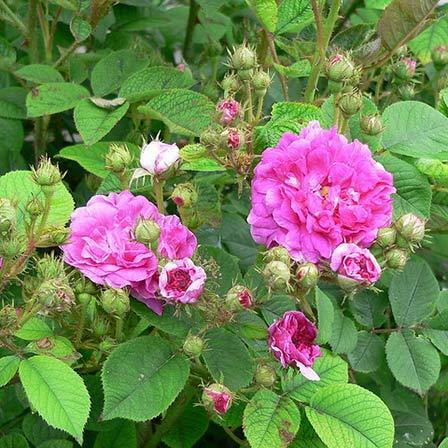 The Carefree Wonder rose is a disease resistant shrub rose that is easy to maintain. The shrub bears a cluster of double blooms rich pink flowers. The bloom looks extremely beautiful on dark green foliage. The flower has a very mild fragrance, unlike other roses. 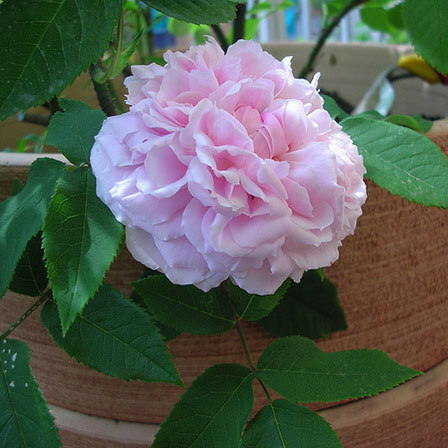 The Jacques Cartier is a small Portland rose with a very compact form. 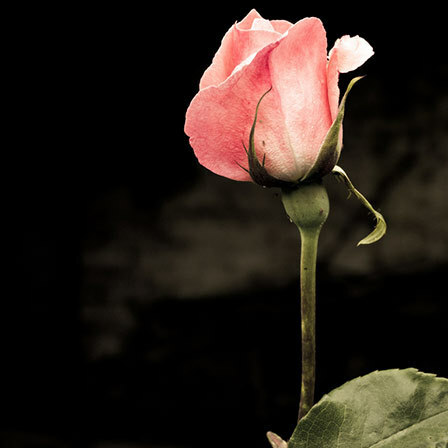 It is one of the most beautiful pink roses and has an antique charm and Victorian elegance. The striking red buds open up to reveal lovely double decked and tightly packed pink blooms. 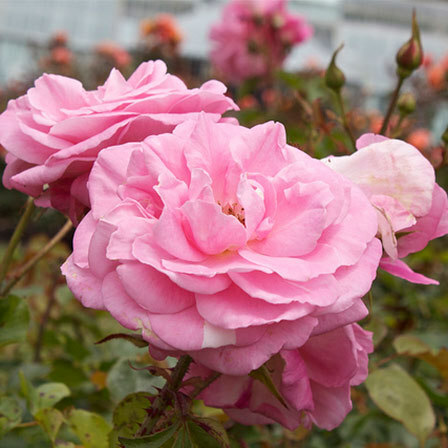 Fully open blooms form an exquisite rosette shape and are very fragrant with a rich, sweet scent. The flower has attractive rich green foliage which deepens to blue green with age. 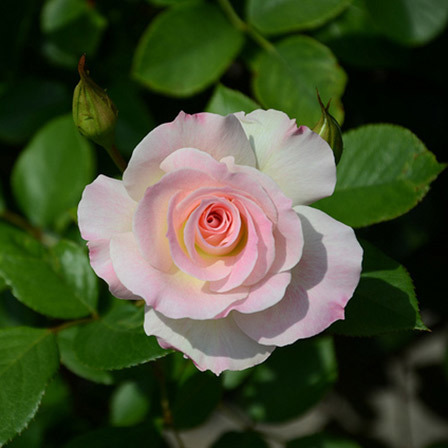 The Tiffany rose is a gorgeous hybrid tea rose that looks exquisite in gardens and flower decorations. The flower looks beautiful with it perfectly shaped petals and attractive dark green foliage. The flower is a gold medal winner and has won many awards for its beauty including AARS flower awards. It has an intense sweet rose fragrance. The flower blooms throughout the year. The Blush rose is one of the most common roses, and even one of the most valuable roses, as it has passed on its incredible blooming prowess to countless cultivators in the West. The flower blooms very steadily, hence is not appropriate as a cut flower. The flower has medium semi double pink petals in loose clusters. It is soft pink in colour and has a nice sweet and pleasant scent to it. The flower blooms in clusters every year in June or early spring. This is a disease resistant climbing rose which is a vigorous climber that bears beautiful pink coloured double petal flowers. The flower blooms throughout the year. 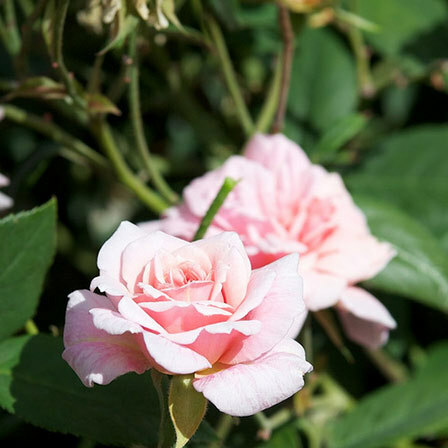 The oval shaped buds bloom to reveal beautiful well-formed pink coloured roses. This nicely fragrant flower blooms in clusters and has healthy green foliage. Nearly wild rose blooms throughout the year. These are small deciduous shrubs with prickly stem that form an impenetrable barrier. The shrub produces a profusion of graceful long and pointed buds that open to an appealing single, 5 petal rosy pink bloom. 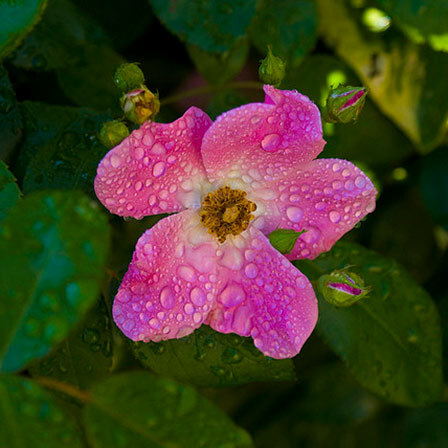 The Nearly wild rose is a cup shaped rose that has bright green foliage. The flower is very easy to grow and is immune to all diseases. The flowers have a nice strong fragrant. This is an old climber which is native to Britain. It is a large rose with large leaves and bigger double flowers. The flower rears up to 7 blooms, ranging from deep purple to pale mauve and even white shades of flowers. They get their name from the way these flowers change their colors. They open up to a dark pink shade and then fade to pink and eventually to white. The flower blooms only in summer. This is one of the most popular 10 roses of all time. It even got the Rose Society’s Rose Medal and the President’s Trophy for the best rose of the year. The flower has an elegant and beautiful appearance with a sweet scent. 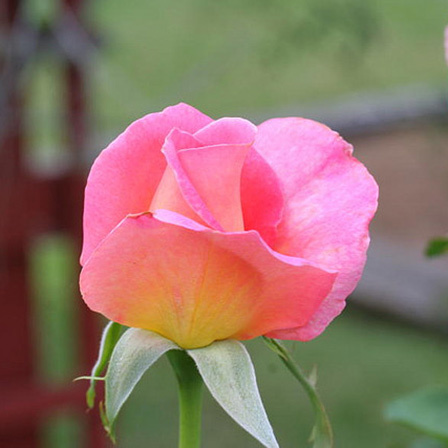 The flower blooms singly on one stem and has a striking resemblance to hybrid tea roses. The blooms range from single petal to fully double petals. The foliage is dark green, glossy and leather-like to touch. The flower looks beautiful and charming in any flower arrangement like bouquet and table centerpieces. This medium coloured flower blends easily with any surrounding plants and flowers to enhance the beauty of the garden. This rose is named after Henri Fantin-Latour, a famous French painter, who was renowned for his love for flowers. 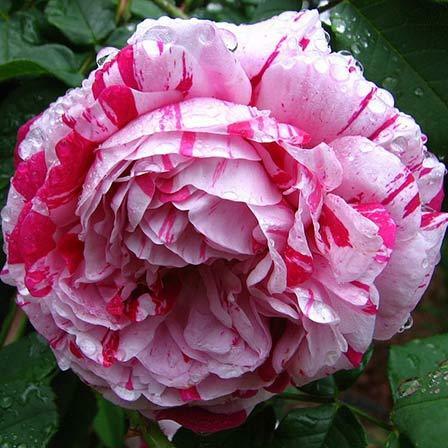 This is an old Centifolia rose which exists since Victorian period or even before. This gorgeous pink flower appears in summers and smells of a rich and intoxicating fragrance. The plant blooms for at least one month every year. The rose canes are covered with beautiful matte green foliage which makes the flower stand out beautifully. This is the prettiest of all the roses I have ever come across. The flower has a beautiful blend of pink and white colour making it perfect for Valentine’s bouquet. The buds are of a pale scarlet shade opening with blush pink on the insides of the petals, and then take a vibrant shade of rosy pink. It has an enchanting fragrance making it a perfect gift for Valentine’s Day. 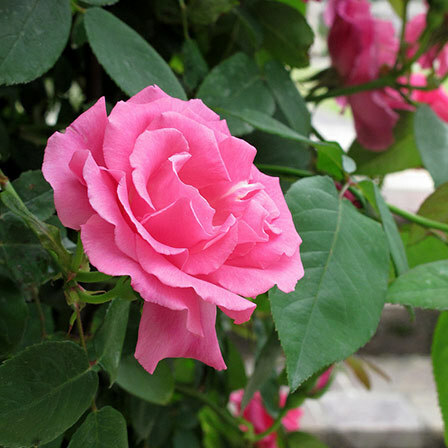 This rose is also known as an ‘Eden’ rose and is a magnificent large flowered pink climber. The flowers are large and are shaped like cabbages. The flower has an old school charm to it. It is intensely fragrant and has a tea rose perfume scent to it. The flower is basically white in colour but is suffused with pink colour. 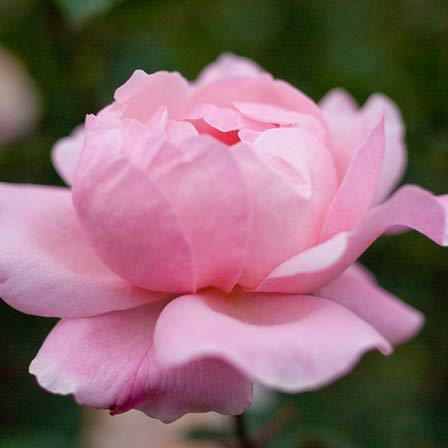 The Belinda’s Dream Rose is a large pink bloom native to Florida and Gulf coast. The flower is resistant to black spots and diseases. The flower has a lovely fruit-like smell and is often used in the perfume and oil industry. Its green blue foliage makes the flower even more attractive. This is a beautiful white and pink rose with a hybrid tea rose form. The flower petals are white outside and pink inside with edges of dark pink shadings or in a single pink colour. The flowers change the colour as they age and become paler and even white with time. The stem of this flower is long and firm making it perfect for cut flower. It has beautiful green foliage and blooms best in summer seasons. 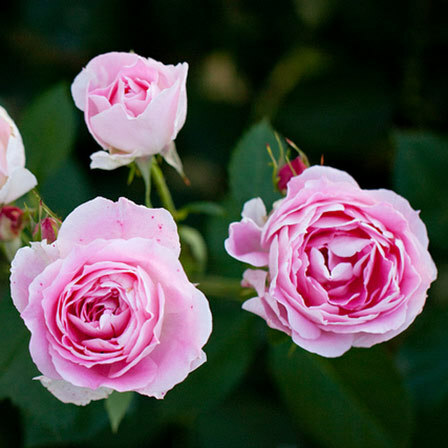 These are the best pink roses to plant in garden and for flower decorations. 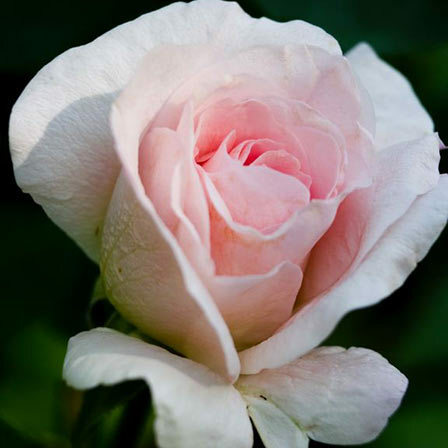 The rose flower has a creamy white base that is laced with various pink colors. 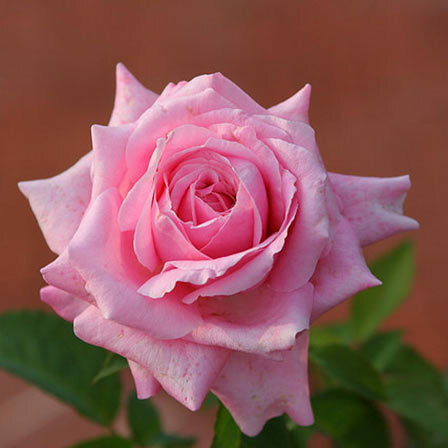 It is a medium sized perfectly cupped bloom with delicate rosy petals. These flowers bloom in clusters and have attractive foliage in light green colour. These flowers bloom during summer and fall with an intense rosy fragrance. This is a gorgeous old Bourbon Rose which was originally bred in Italy by Bonfiglioli and Sons in 1909. It is one of the best pink variegated climbers in its class. It has an enchanting bloom in shades of white and pink stripes. The flower is double bloomed and appears in clusters. This variety of Bourbon rose in extremely fragrant unlike other varieties of Bourbon roses. This is an adorable little pink floribunda rose which has a wild flower-like touch to it. The flower blooms in clusters in soft shades of pink with red stamens. The fragrance is light to moderate and is quite pleasing. 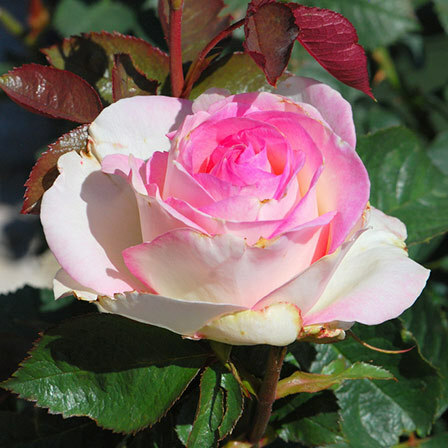 Pink Parfait is a pink blend floribunda rose with a sturdy upright growth habit. The flowers are loosely double bloomed with neatly coiled center. The leaves are rich light green healthy foliage. It has a slight sweet scent. 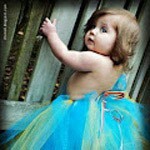 The flower has a great resistance to diseases. All these pretty pink roses are pleasing to the eye and divine in fragrance. Surprise your loved one with a bouquet of these delightful roses and watch their pleasure bloom!